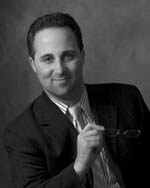 Matthew Weisberg concentrates his practice on consumer fraud- and financial injury-based litigation, mortgage foreclosure, professional negligence (including legal malpractice) and civil rights. A peer-acclaimed trial attorney, Matthew also represents individuals in real estate matters and helps obtain monetary compensation for victims of crime (financial and violent). A true "lawyer's lawyer," Matthew is proud to continuously receive referrals and praise from unaffiliated attorneys (even surprisingly from those who were once his opposing counsel) and community leaders. In fact, Matthew regularly represents attorneys in their personal legal matters. He also serves as an expert witness in complex legal malpractice and title insurance matters, including having been retained by a recent opponent's law firm in multiple matters. Prior to joining the firm, Matthew practiced with Weber, Gallagher, Simpson, Stapleton, Fires & Newby, L.L.P. (focusing on general liability defense and commercial foreclosures) and McCabe, Weisberg & Conway, P.C. (representing large, primarily subprime lenders and investors in residential mortgage foreclosure and lender liability-related litigation). Matthew also clerked for the Honorable Albert W. Sheppard Jr. and was an extern for the Australian Federal Parliament. For the Parliament, he published "G-D Save the Queen," on behalf of the Honorable Brendan Nelson, M.P. (leader of the Liberal Party). He lives with his two sons and wife in Montgomery County and enjoys reading and cigars. Admitted to practice in both state and federal courts in Pennsylvania and New Jersey in 2005, Mr. Weisberg is also admitted to practice before the United States Supreme Court (where he was administered the oath by the late Chief Justice Rehnquist just weeks before his passing). He has appeared live on "The Real Estate Connection" and WURD (900 AM) and recently appeared live on "Fox and Friends" and CNN. He has been featured in the Philadelphia Inquirer, the New York Times and USA Today. Matthew writes monthly articles on attorney liability for the Pennsylvania Law Weekly. Matthew was previously appointed counsel to the Children of Jewish Holocaust Survivors Association and the Jewish Holocaust Survivors Association, as well as Habitat for Humanity-Delaware Valley. Pro bono and in conjunction with the office of state Sen. Shirley Kitchen, Mr. Weisberg consistently offers consumer foreclosure and lending counseling at churches and schools throughout North Philadelphia. On the last Saturday of every month, he provides legal assistance for "walk-ins" at Sen. Kitchen's Philadelphia office. Matthew is also an active member of Texas Equusearch and is on call to conduct physical searches for missing children. On May 22, 2008, Matthew received the 2008 Third District Community Leader Award at the 12th Annual Senior Citizens and Community Leaders Luncheon. and will never suffer it to be violated with immunity!"